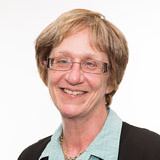 Professor Corinne Mulley is the founding Chair in Public Transport at the Institute of Transport and Logistics Studies at the University of Sydney. Corinne is a transport economist and has been active in transport research at the interface of transport policy and economics. More recently Corinne has concentrated on specific issues relating to public transport. With the population of Australia’s capital cities growing rapidly, we ask how public transport will keep pace and whether we can maintain our prized ‘liveability’.